Australian teen who gained internet fame as part of the comedy group The Janoskians alongside Beau Brooks , Luke Brooks , James Yammouni and Daniel Sahyounie . He posted his first YouTube video in September 2011. He has earned more than 266 million YouTube views as a member of the Janoskians. 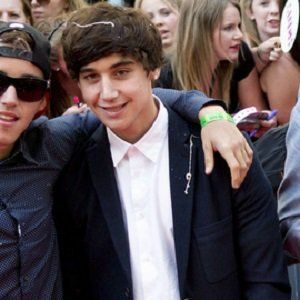 Fellow Janoskians Luke and Beau Brooks are his brothers. He and Luke are twins while Beau is older. He dated actress Ariana Grande on and off for several years beginning in 2013.